Read more "Be Friends with Rapists"
Read more "VIDA Count 2013"
Read more "How to Ask Ignorant Questions of a Black Person"
Read more "On Writing the Serial Novel"
Read more "The Reality Dilemma"
Read more "Soft Like Silk and Sky"
A week before Portland clothing and accessory designer Lindsey Reif’s first solo show for her brand Reif, I arrive at the studio she shares with Seaecho owner and designer Sarah Rapp in the middle of fittings. 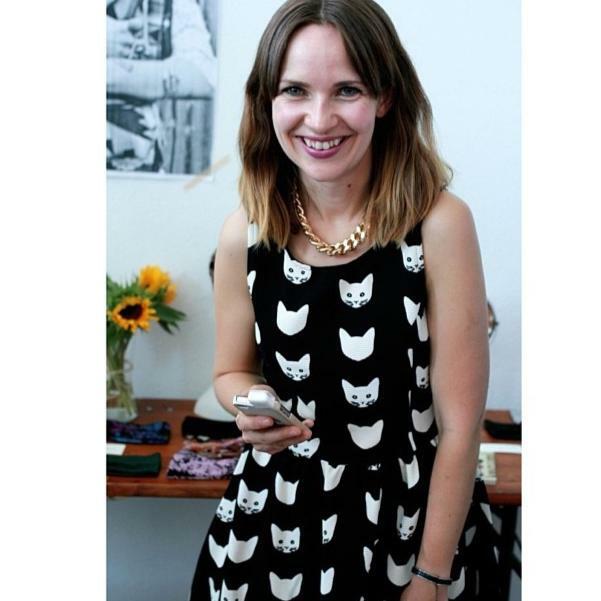 The show’s producer–the assiduous Jillian Rabe–and team are there in support and models arrive staggered over the next several hours to try on a sampling of Lindsey’s newest creations. The studio, located in SE Portland within the newly retrofitted creative space called The Bindery, is just how I’d imagine two busy and blossoming designers’ space would be: rolls of Pendleton fabric, sewing machines, racks of clothing, piles of finished clutches, inspiration boards, and the requisite magazine tear of a cat. The Knife plays from a small docking station against the East wall while Lindsey ties a model named Sky into a strappy, striped sundress. I poke through the clothes on rolling rack and can’t help myself from cooing over the soft silks and wearable designs. Lindsey Reif: This line was inspired by this color (holding up a poppy sleeveless button-down shift). I’m really picky about color. I was also inspired by early 90’s minimalism. Kate Moss and Calvin Klein. [The collection includes] a scort. Scorts are awesome. You can actually sit down in them. Carrie Hamm: I definitely wore my fair share of scorts in the early 90’s. L: Right! And then they went away and I think people thought they were stupid, but they are perfect. C: Tell me about the show next Friday. L: This is my first solo show, so I feel like I can control every element and make everything look like it is in my fantasy. Jillian Rabe: The choreography and the show for this event is different than anything we’ve ever done. I love traditional runway. The lights turn on and the music turns on and the models start walking and looking amazing, but you don’t get enough stage time with the garments. This collection is really special, so it is going to be cool to have more face time. L: I wanted to adopt the model of what the smaller designers do in New York. Rather than compete with the big runway shows during New York Fashion week, they’ll put on presentations and installations. I wanted to bring that model to Portland. I want it to be really fun, more like a party. C: Did you build your brand off of the turbans? L: I started with clothing, then the turban [got popular] by accident. People started buying them and I was like, ok I guess I’m making these now! A lot of Portlanders have a vintage aesthetic and dress for functionality. If there’s a fashion accessory that is functional for their daily life, they’ll go for that. C: Like wearing a turban to replace their beanie. L: Exactly. They still want to look good and show personality in their clothing choices, but they also are busy and riding their bikes. Reif designer Lindsey Reif, shot by Krystyna Solodenko. 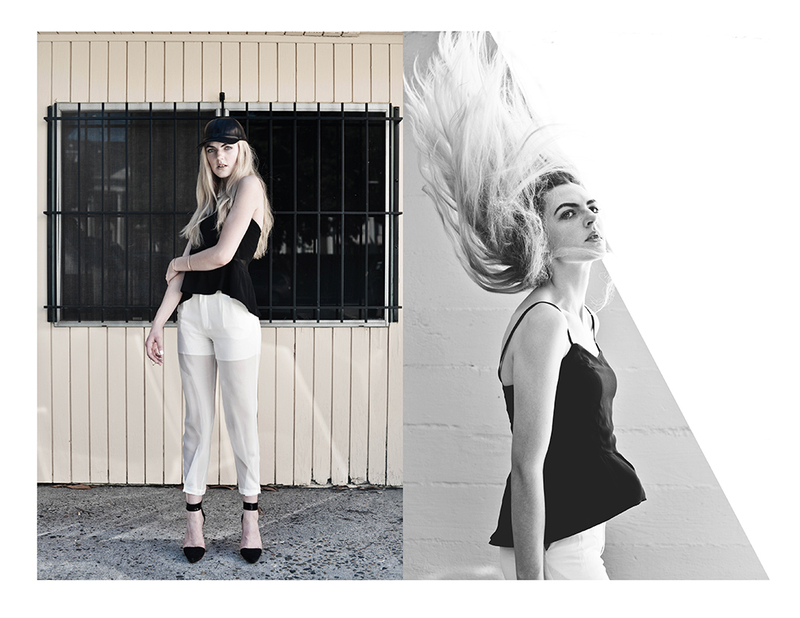 C: Your lookbooks are full of all kinds of interesting imagery, with urban, witchy and psychedelic elements. How do you come up with your inspiration? L: I usually have an era in my head when I’m designing a collection. [The SS2012 Collection] was inspired by disco 70’s era but with a darker energy. I wanted to use a ouiji board. C: Do you keep a muse in mind while designing? L: Chloe Sevigny or Alexa Chung: someone who is a style icon without being too flashy. Also Rihanna. She has a really classy, classic style that she edges up with urban elements. She rocks some minimalist, classic clothing and she looks great in it. C: She’s kind of an accessory by herself. L: Right, she doesn’t need much. I love that red dress that she wore. I could put Rihanna in a dress like that. C: Your brand motto is “the time is ripe.” What does time mean to you as a designer? L: I think that good design is timeless. I liken it to mid-century furniture. Something that was designed in the 50’s, but still looks modern no matter what situation you put it in. C: We are in Portland and you are a designer, so I have to ask about Project Runway. Would you consider it at this point? L: I was a finalist last year. It’s kind of like an ex-boyfriend where you say you won’t answer the phone when they call you, but then you pick it up. Tim Gunn loved my clothes, so that’s really all I need! C: Where can people find your line? L: This collection will be at Frances May. The turbans and accessories will be at the other stores. I’m working on a line of basics for fall. The idea is to have a daywear to loungewear transition. 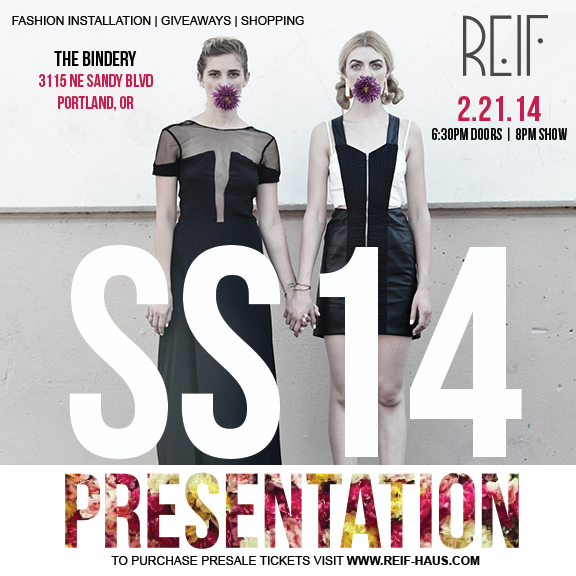 REIF presents Spring/Summer 2014. Friday February 21, 2014. Doors at 6:30, Fashion presentation at 8:00PM. To be held at The Bindery (3115 NE Sandy.) All ages. For tickets and more information, visit www.reif-haus.com. Read more "Springtime Is Ripe With Possibility"